In my mailbox today. The Clintons have taken an interest in me ever since I made a small donation to Mrs. Clinton’s campaign – something I did mostly to help quiet my intermittent cognitive dissonance after more generously supporting her opponent. 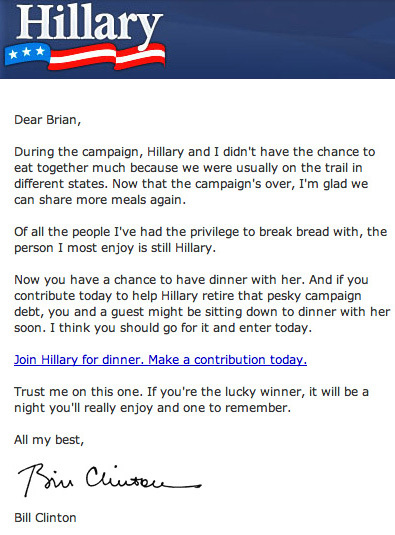 Something felt odd about this email from Bill. What is your impression?